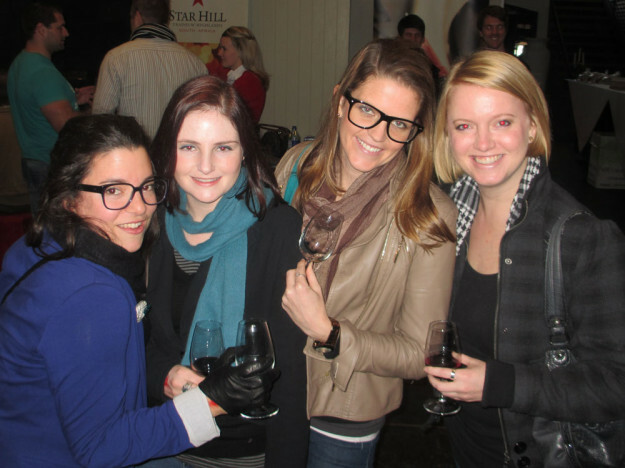 We went to the Winter Wine Festival at Simons and had an absolute blast. What’s better than friends, laughs and a bit of the Cape’s finest wine? Not a whole lot mate. The weather wasn’t ideal it was freezing (but yes Cape Town has been unusually ice block like this winter), but hey the vibe in there was warm. We met some fabulous people, tasted some delish wine (one of our fav’s was the bubbly from Haute Cabriere), some ridiculously good deli meats and shared some hilarious stories. We ever had a cheeky dance or two with the bands. What I love about this city that I live in is that there is ALWAYS something on the go, from wine festivals, to sporting activities, wonderful nature to just go and lose yourself in and plenty of fantastic people. Yes we might be a clicky bunch on the outside – but I think you’re just hanging around with the wrong people. What this day reminded me was to get out of my comfort zone and go and experience more things. This entry was posted in Play and tagged clementine, fun with friends, wine festival.